This 16" flexible goose-neck lamp by Drive Medical can be adjusted in any direction thanks to an arm that adjusts a full 360 degrees. The height can be formed to suit your needs as well adjusting anywhere from 48" to 72". 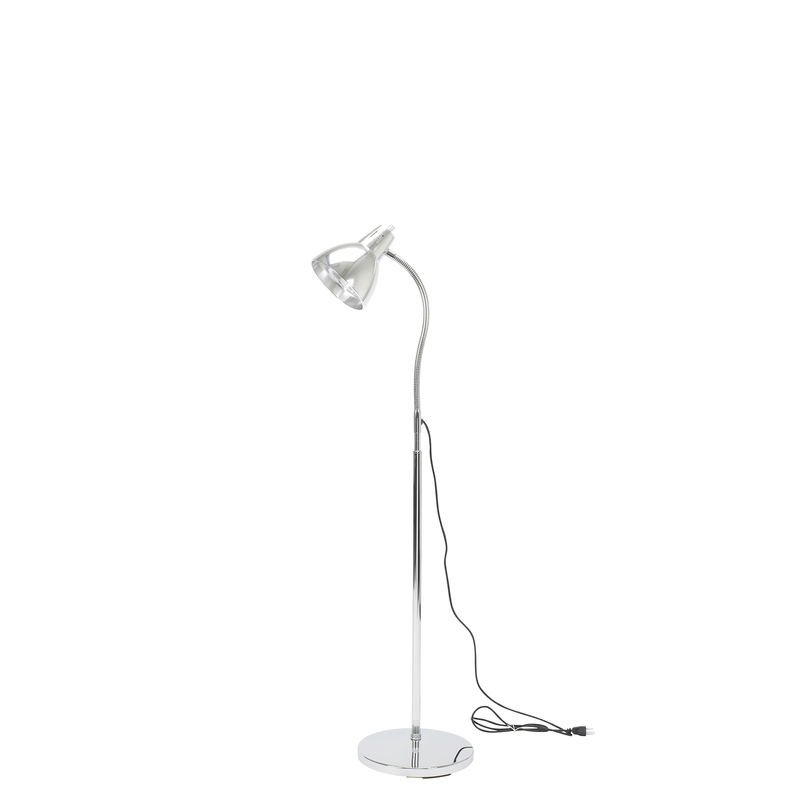 The lamp's weighted steel base prevents it from tipping. It includes a 3-prong plug is UL listed and is for use with incandescent light bulbs up to 60 watts. The product is available with either a dome shade a flared cone shade and/or a mobile base.